This tour will begin in Qui Nhon and end in Hanoi. We will travel north, first by road from Qui Nhon to Hoi An, a well preserved coastal city of considerable historical interest; UNESCO has designated it as a World Heritage Site. After spending the night at Hoi An, we will continue north by bus to Hue; if there is sufficient time, we will make a brief visit to Danang and other interesting sites. 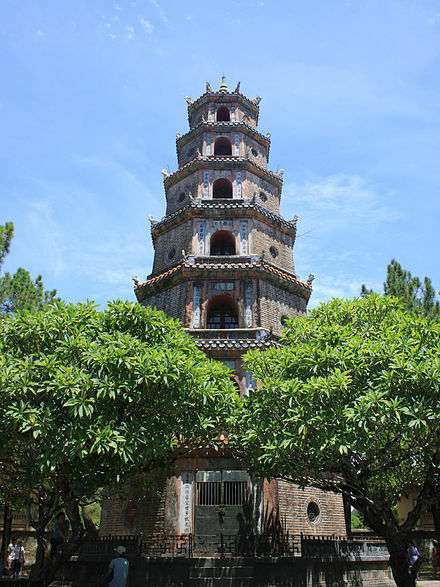 Hue was the imperial capital under the Nguyen Dynasty, which dominated Southern Vietnam from the 17th to the 19th century, and it is also a World Heritage site. From Hue, we will continue to the beautiful and unique Halong Bay; we will first fly to Hanoi, and from there go directly to Halong by road. We will visit the bay on a cruise boat, on which we will spend the night; in this way, we will experience the unforgettable sight of sunset and sunrise over the limestone islands scattered over the whole bay. The next stop will be Ninh Binh, known as the “celestial Halong”. We will then continue to the city of Hanoi, the current capital of Vietnam, and spend some time exploring its interesting monuments and also participating in its life. The tour will end in Hanoi. 12:00 pm : Meeting at the lobby of the hotel. We leave for Hoi An – the UNESCO world heritage site – about 350 km away. Arrival at the Hotel at around 7pm. Check in, Dinner at the hotel. these attractions include a Japanese bridge, Chinese temples, the Old House, the Hoi An museum, the Hoi An market etc. Pick up at Hanoi – Noi Bai air port. Early morning, transfer to Halong Bay – the UNESCO World Heritage Site – one of the 7 modern Wonders of the World. Early morning wake up call to photograph the sun rising over the water, have breakfast and then explore the amazing cave; it takes about one hour to visit, and your imagination will not be disappointed as you pass from stalactite to stalagmite, whose shapes call up visions of animals, both real and fabulous. Lunch on board. After lunch, overland trip to Ninh Binh, about 250 km away.. We will cross the Quang Ninh, Hai Phong, Hai Duong, Thai Binh, Ninh Binh provinces. The road passes through beautiful agricultural terrain. This tour will begin in Qui Nhon, visit Ho Chi Minh City, Siem Rap Angkor (Cambodia), Halong Bay and end in Hanoi. We will fly to Ho Chi Minh City, we will first fly to Hanoi, and from there go directly to Halong by road. We will visit the bay on a cruise boat, on which we will spend the night; in this way, we will experience the unforgettable sight of sunset and sunrise over the limestone islands scattered over the whole bay. The next stop will be Ninh Binh, known as the “celestial Halong”. We will then continue to the city of Hanoi, the current capital of Vietnam, and spend some time exploring its interesting monuments and also participating in its life. The tour will end in Hanoi. Breakfast, visit Roluos temples group inclusive Preah Ko, Bakong and Lolei temples. After, make excursion by boat to fishing Village at Tonle Sap Lake. Flight to Hanoi. Hotel in Hanoi. Day 5 July 20 : Bai Tho boat.